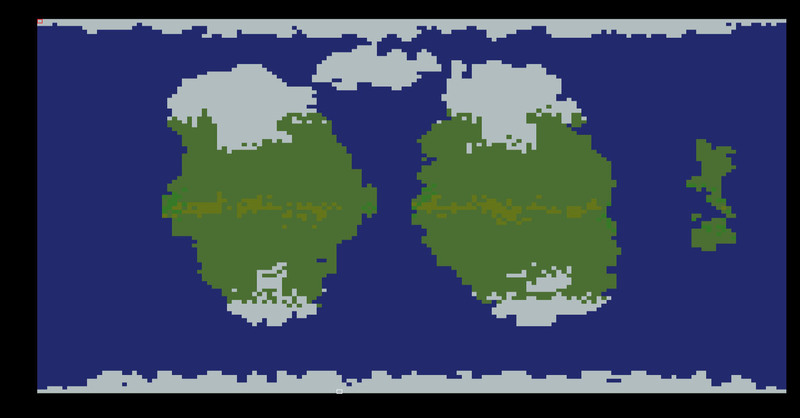 Last week we completed the world generator ( rivers and forests are now in ) , and the last last remaining climate : tropical. 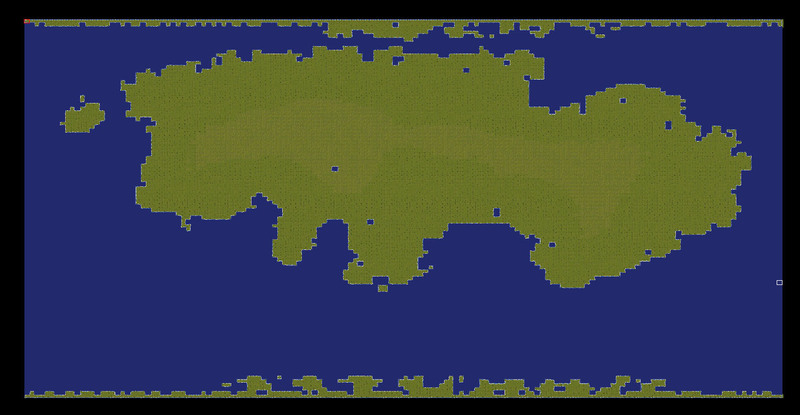 Also started working on the region generation now. 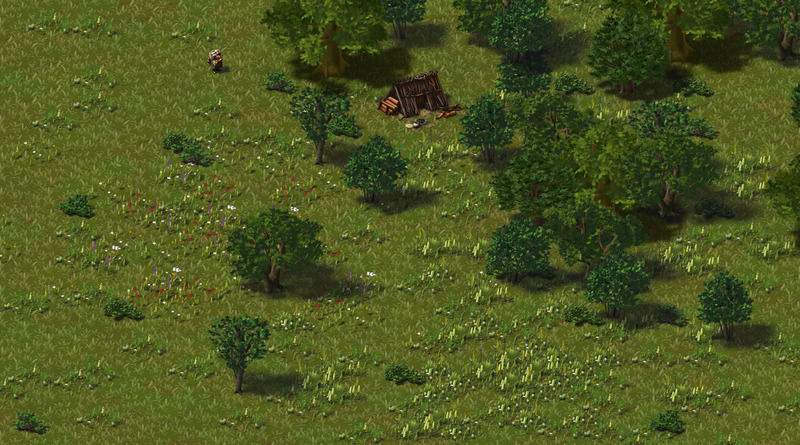 Unlike before, and now that worldmaps are potentially much bigger, the region generation will potentially happen dynamically during the game whenever a player visits a region for the first time. Which implies making the generation as fast and light as possible to avoid any server freeze, and makes the whole thing more complicated (regions beeing twice the size also adds to the problem). 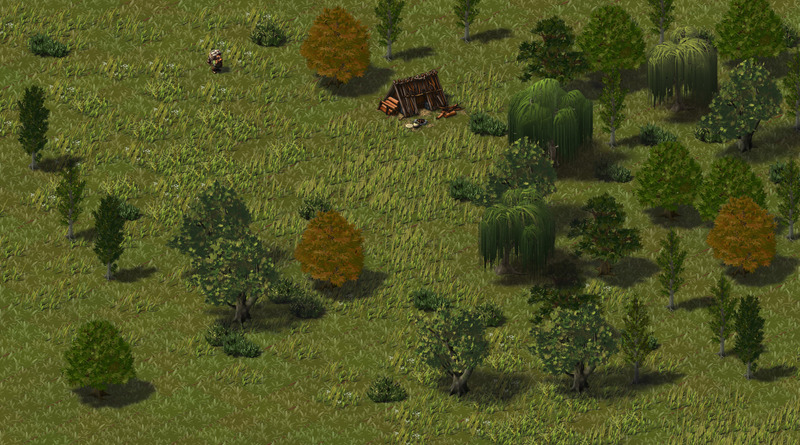 Here is another climate preview, this time for the desertic climate. Only tropical is left now! 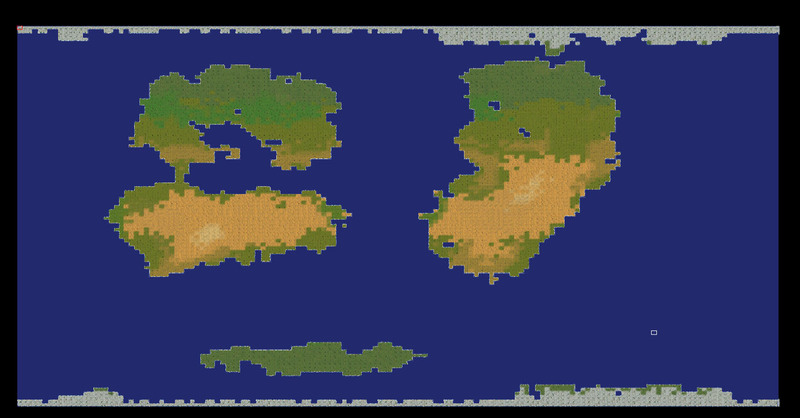 The world generator is now nearly finished. 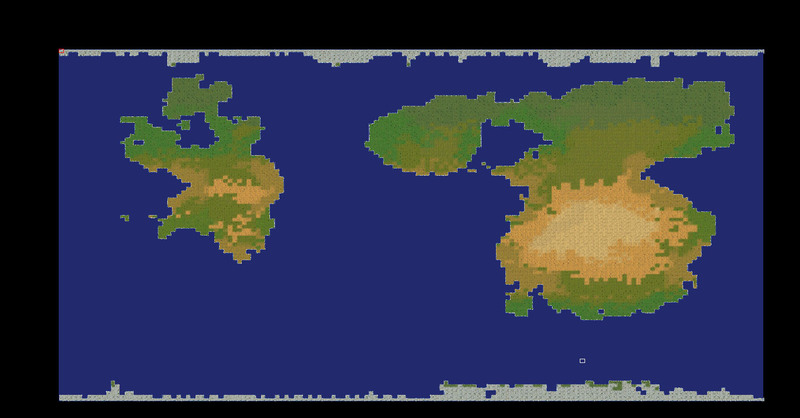 Last week i added a tectonic plates ‘simulation’ to create mountains, islands and rifts that can fracture continents, making the maps look more realistic. 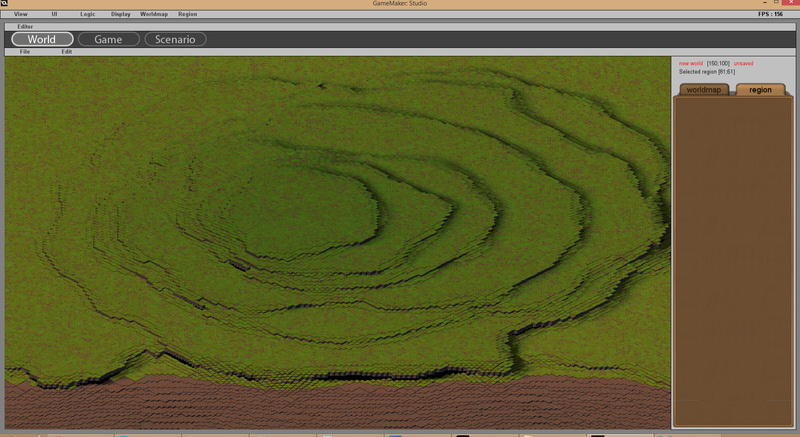 It consists in creating random zones, the ‘plates’, and assigning them random directions. 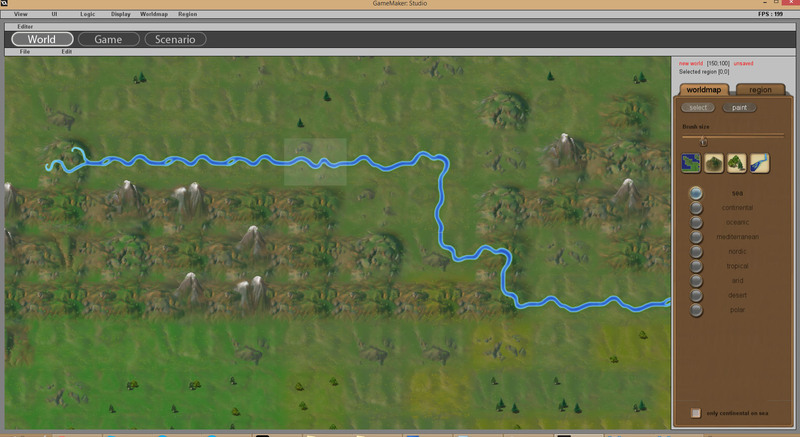 I also added the river placement. 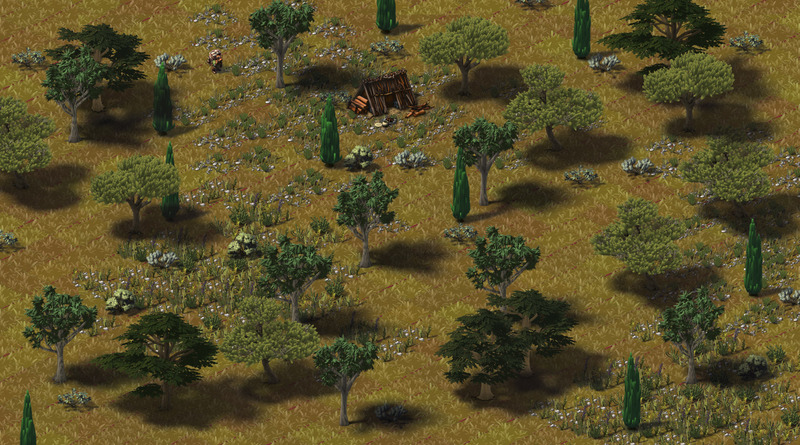 This week’s new Photoshop previews are the arid and mediterranean climates. 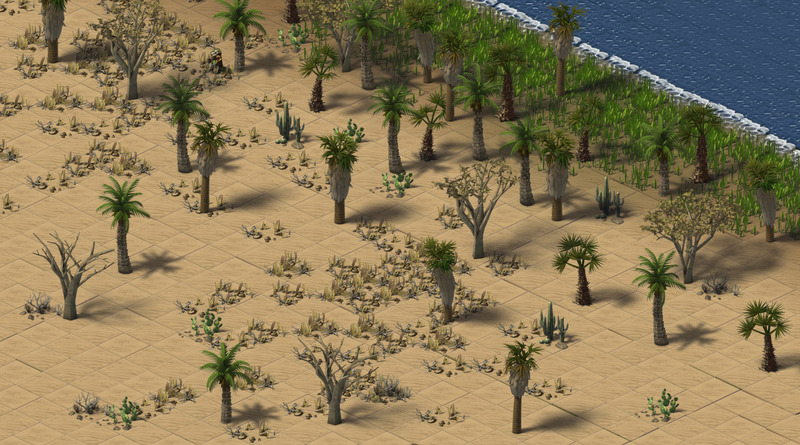 Adding new Eucalyptus and Cedar trees to mediterran regions plus the Joshua tree and Dragon tree to arid zones. After struggling all week with an annoying blurr function required to disperse humidity on the worlds, the basic climate generation is complete. Depending on the selected temperature and the land configuration, it crudely simulates various things like temperature and humidity generated by the warm seas and how it’s scattered on the lands. 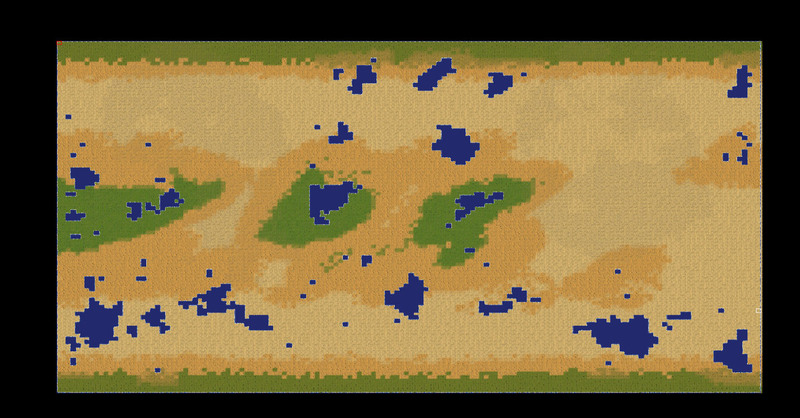 The result defines the climate type of each land tile, creating a more realistic result where climates directly depend on the land and sea masses. 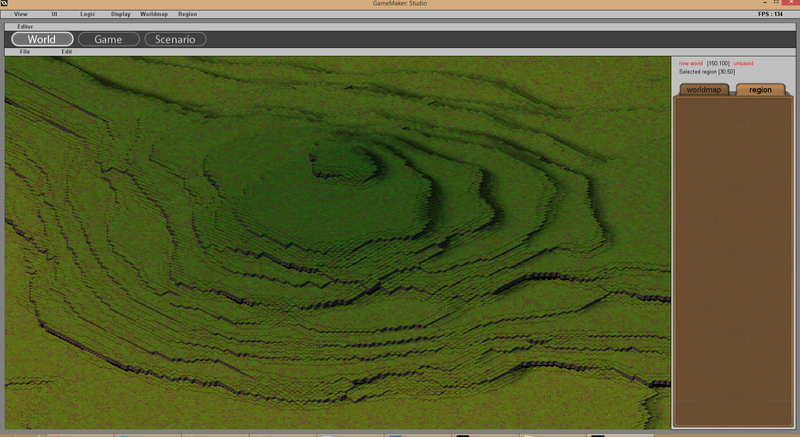 Default generation settings create random temperate worlds while tweaking these can create quite peculiar ones. A very warm world with plenty of sea will turn highly tropical, while a very low sea level with extreme temperatures will create a desertic wasteland with small liveable areas around scattered lakes. 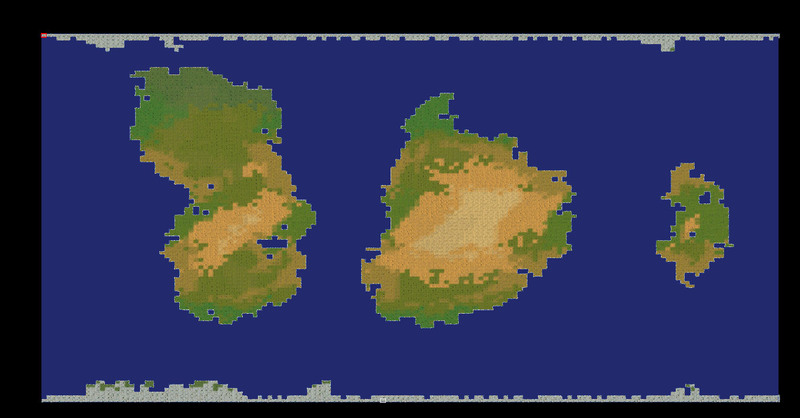 Last week we kept advancing on the worlmap generation and the different vegetations of each climates. 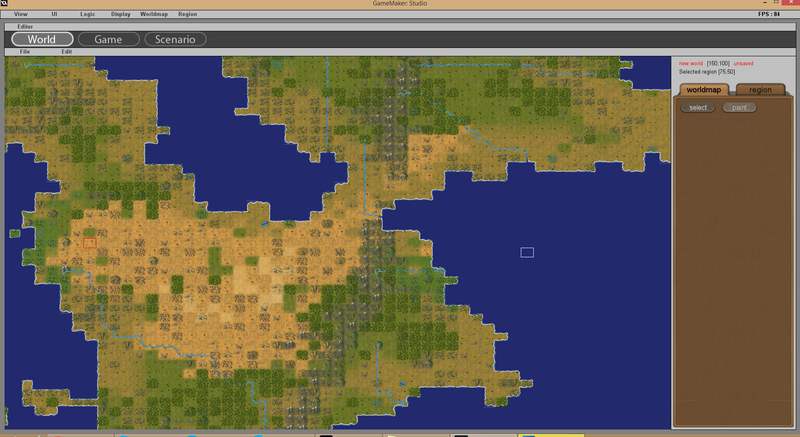 The basic controls are done, and the generation of land and continents is working. 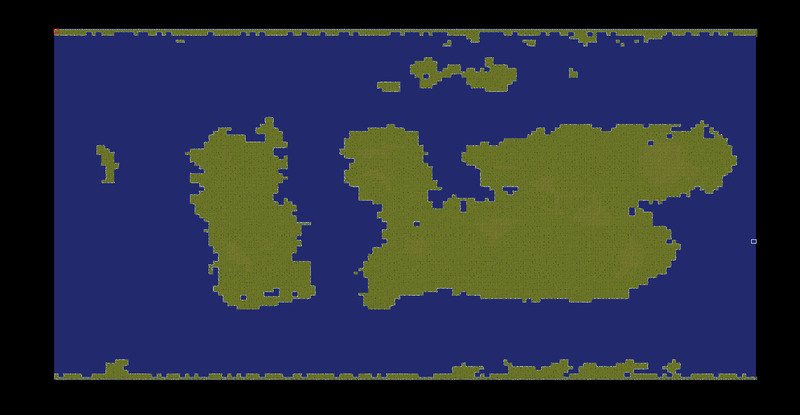 You can control the amount of continents to spawn and amount of sea. 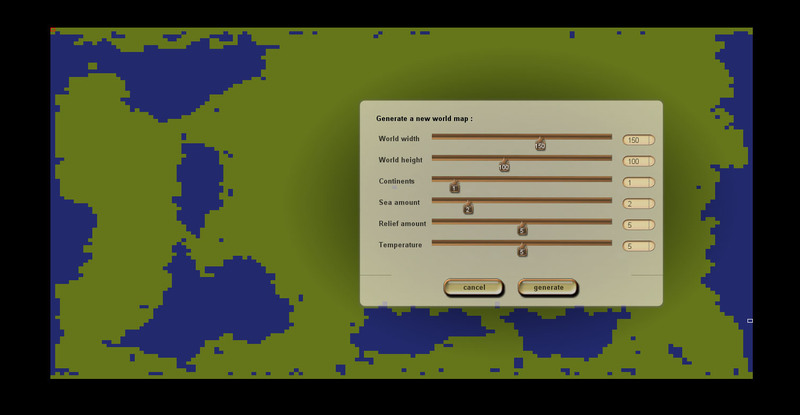 You can go from a map with no continents and low seas that will create a planet mostly made of land with small seas to a map with multiple continents and high sea levels. 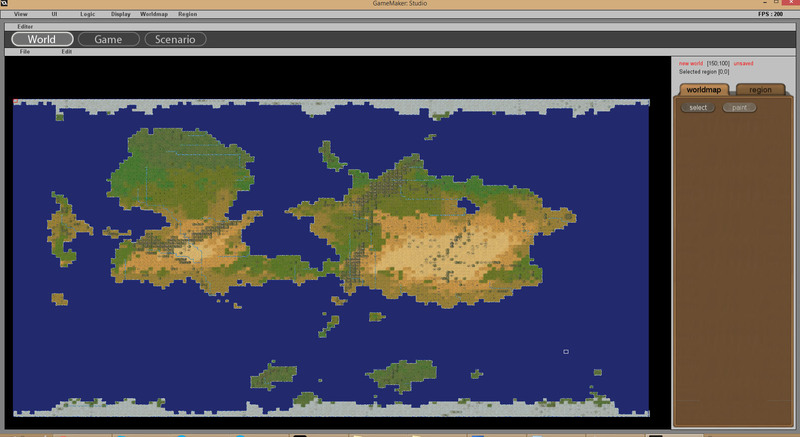 You can also customize the size of the world up to 250×250. 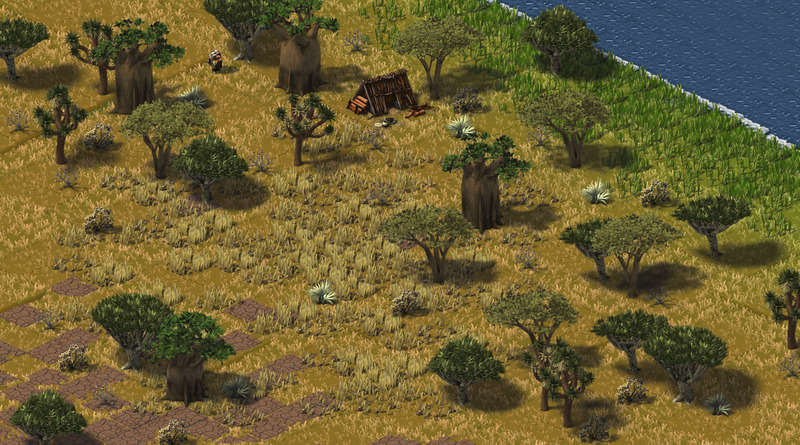 However it will probably be best to play on small maps in most games unless there’s lots of players, because keep in mind these are not maps for a game like Civilization : each tile beeing a whole region, even a small looking map is actually big enough for dozens of players. 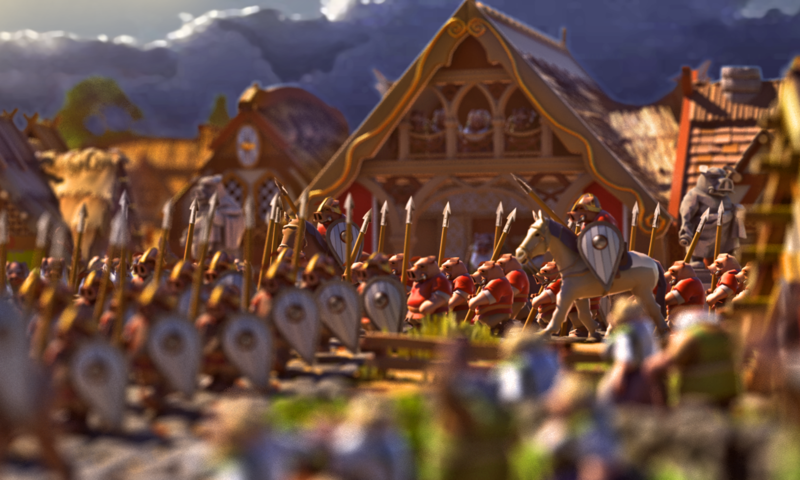 Maps like the screenshots below would actually be freakin’ giant. 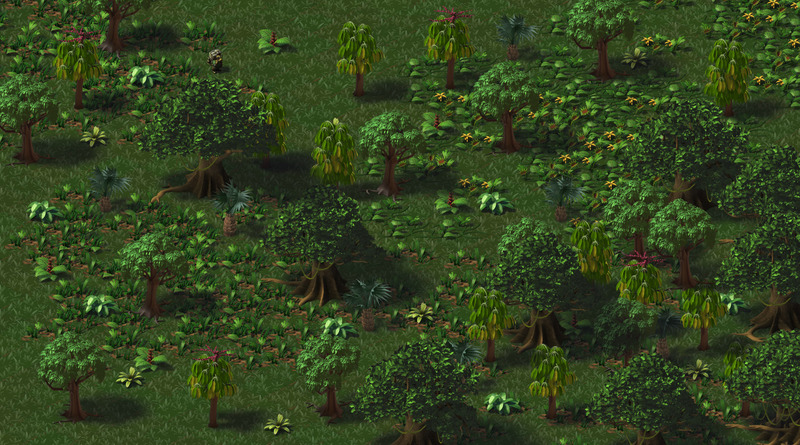 Still advancing on the new climate vegetations, below are previews of the WIP Oceanic and continental types.